1. Do your homework and look for ways to maximize your hard earned dollars. 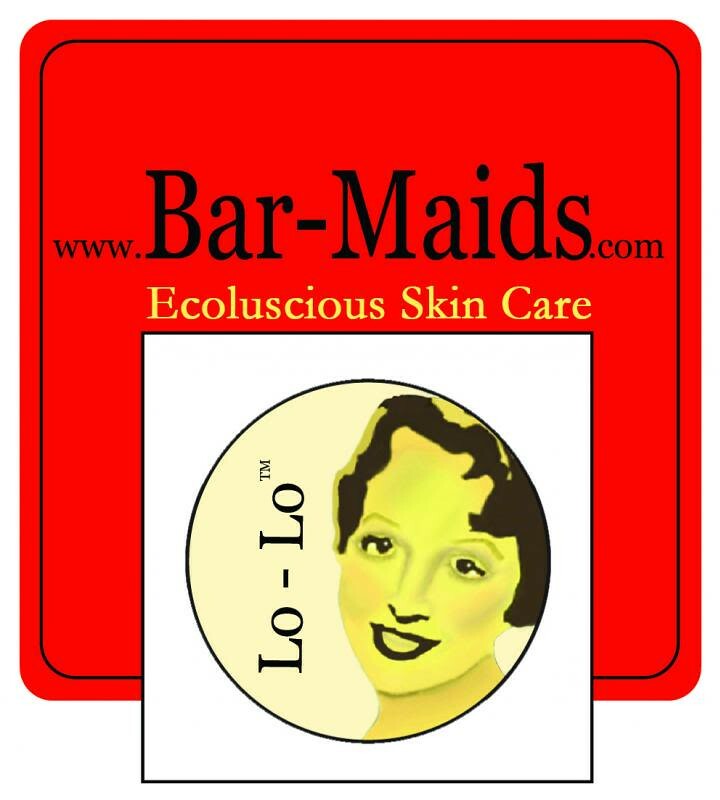 Go the Bar-Maids site at www.bar-maids.com and make a list of the scents you love or are wanting to try. This will help curb any impulse buying and come in handy later. While online check out the Everything Please. It's a steal! Do the math of what it would cost if you purchased all those items individually, the effective Body Bar, easy to stash To-Go B, Cuticle Intensive. and that luscious Lip Balm, transforming Face Pudding, an ohhhhh O’for Feet. And you can't forget that it comes in a Namaste Snap pouch. 2. Buy Local to save on shipping. he While on the bar-maids site, click on the Retailers tab to see if a store is located near you. Call the store to find out if they have those items on your list in stock. If not, ask them to order it or... just order on-line. Did you know that Bar-Maids ships within 3 working days. In other words, you get it fast. After all this excitement, take a deep breath. Soon, very soon, all parts of your body will be moisturized with natural, effective, skin loving butters and oils – for a very long time. And that extra cash you now have on hand, Lo-Lo and I wish you all the fun in the world spending it in fiber land. Gigi finished a Narcissus sock, and cast on the second one. Her count on The Knitter's Curiosity Cabinet, Volume 1 is: nine done, eleven left, plus two bonus items. Jasmin says she has lost her knitting mojo. So she is planning more projects to knit for Andrew. She is ruminating about finishing the project she has on her Cricket loom. She is also working on her Boneyard shawl. Gigi has finished a pair of Brainless socks, by Yarnissima. She is lamenting about the pile of socks that still need to have their ends woven in and their picture taken. The socks for GrandpaDahling are almost done, and the Spiceman socks are progressing nicely. At the Halos-of-Hopeathon, Jasmin worked on her minispinner, and Gigi cast on a beanie. The turnout was spectacular, and the event was a big success. They collected 210 hats. We met Shannon Dunbabin from Cascade Yarns, and Pam Hashke from Halos of Hope. We mention the Happy Girl Kitchen Company, the Monterey Bay Aquarium, the outlets, Monarch Knitting and Quilts in Pacific Grove, and Carmel. This week we answer a question from the what do you want to hear about?" thread on the forum. The question is: Does anyone use Space Bags for storing yarn? We prefer comforter bags for storage. This week we are purloining the "I hate knitting" attitude from The Savvy Girls, hosted by Debrah and Melanie. We mention Knitting All The Day, Melanie's CD of World War II knitting songs. We mention Ashland Bay, Abstract Fiber, and the Cogknitive Retreat. Jasmin seems to have been bitten by the quilting bug. 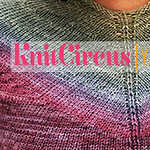 This week we review Knit to Flatter by Amy Herzog. We reference the Hoax Fashion Formula . Jasmin mentions Little Red in the City. We discuss the 365 project that was mentioned in the book. Jasmin talks about the class she took with Rick Mondragon. We mention Nancy Zieman 's sewing books. Jasmin mentions doing her next Eadon in pieces with seams. Gigi has finished the Crown Mountain Farms she had planned to spin for Tour de Fleece, and is working on other fiber now. Show your spinning in the Team Sasquatch group. Inspired by Pinterest, Gigi has upcycled old highschool t shirts into night shirts for Genevieve. She was listening to old episodes of Knitajourney and Susan Dolph mentioned putting beads onto hems. Just a quick note about garment/comforter bags: my dollar tree/all a dollar has them. I got a bunch a few years ago for baby clothes storage and they were fantastic. They are square so stack well, have a clear front panel, and can squish down if need be. They seem to be one of the items that come and go but when they do they sell out fast. I just came on here to say the same thing! I get the knock off vacuum seal space saver bags from Dollar Tree. I don't use them for yarn storage, but they are FANTASTIC for baby clothes storage. I have one of the XL bags for each size of clothes, and they take up about 1/3 of the space they did before vacuum sealing. I don't plan to open and close them often, I just want everything ready for the next kid. Perfect!